Attacks attributed to Fulani herdsmen in Nigeria’s central state of Benue have caused damage to properties worth the equivalent of over one billion US dollars (400 billion nairas), says the state governor. Samuel Ortom told a local radio station the estimate was based on preliminary findings into attacks in the state since 2015, adding that the overall loss had been much greater and difficult to recover from. A week ago (6 June), nine people were killed as suspected Fulani herdsmen attacked Guma and Logo local government areas. Several others are still missing, and many others were injured. The two local government areas have been targeted on various occasions this year. 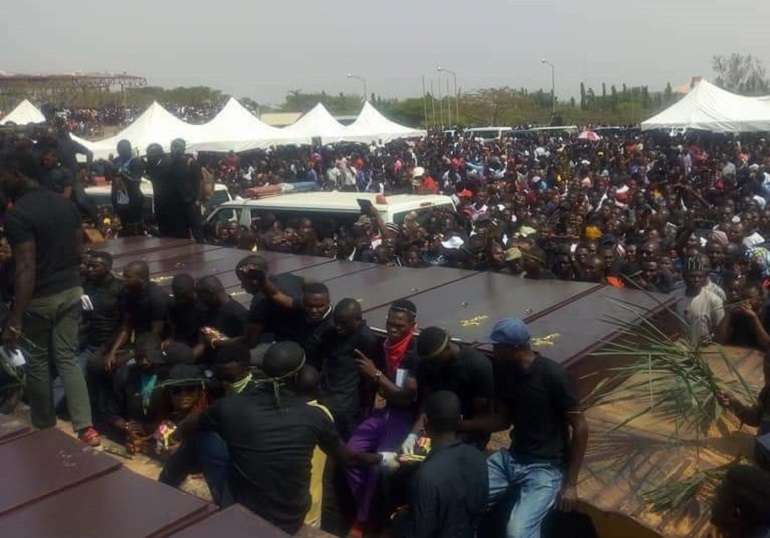 At least 492 people were killed in Benue state from January to May this year. The violence has been often portrayed as a conflict between Muslim nomads and Christian farmers over access to grazing lands, but many analysts believe that the ongoing violence has taken a religious dimension. In recent attacks, the assailants have targeted Christian institutions, killing clerics and worshippers. On 28 May, armed men believed to be Fulani herdsmen attacked a Catholic boys’ secondary boarding school in Jalingo, capital of neighbouring Taraba state. A priest was shot in the leg, while valuables worth thousands of dollars were destroyed. On 24 April, 19 worshippers, including priests Joseph Gor and Felix Tyolaha, were massacred by presumed herdsmen. The attack provoked outrage in Nigeria and elsewhere, with the Catholic Bishops’ Conference of Nigeria urging President Muhammadu Buhari to step down.